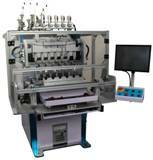 Overview of fully automatic multi spindle bobbin and transformer winding machines with PC control. 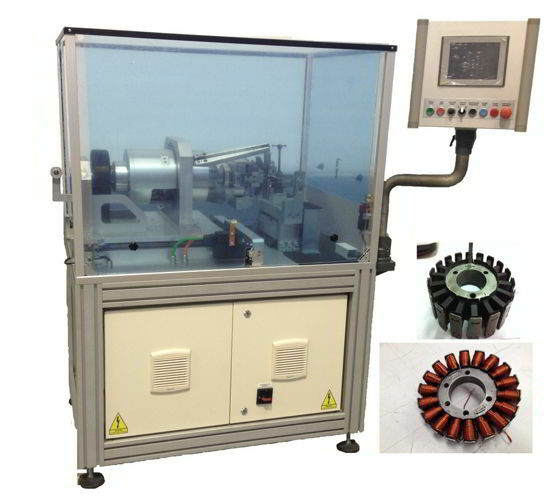 This air coil winding machine with digital control is a dedicated solution for winding hot air bonded bobbinless coils - "air coils". This stand-alone air coil winder requires only mains electricity and a compressed air supply. Fully automatic operation enables efficient, high volume production of air coils using hot air bonding of thermoplastic coated wire with minimum labour cost. 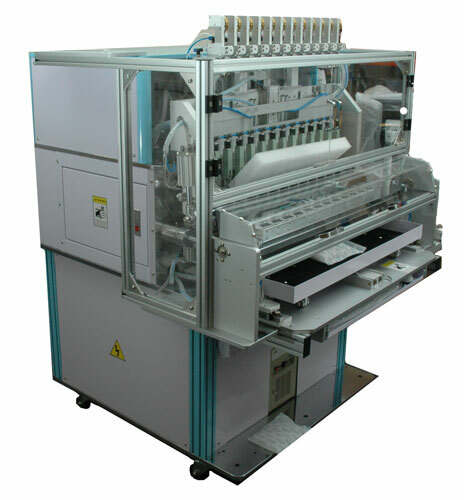 4 spindle high speed automatic coil winding machine with advanced PC control of multi axis servo systems, for winding inductive devices with fine wire. 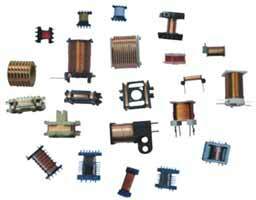 Applications include the manufacture of ignition coils, motors, relays, solenoids and many forms of sensor coils in medium and large batch quantities. 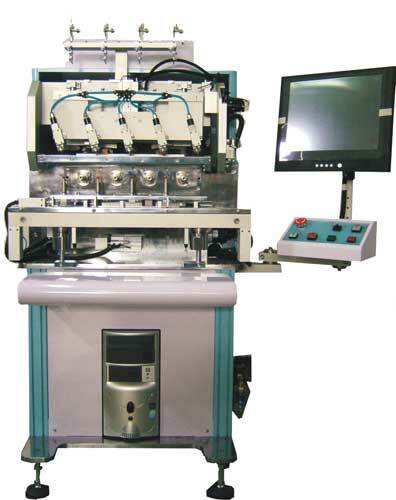 6 spindle high speed automatic coil winding machine with advanced PC control of multi axis servo systems, for winding inductive devices with fine wire. Applications include the manufacture of ignition coils, motors, relays, solenoids and many forms of sensor coils in medium and large batch quantities. 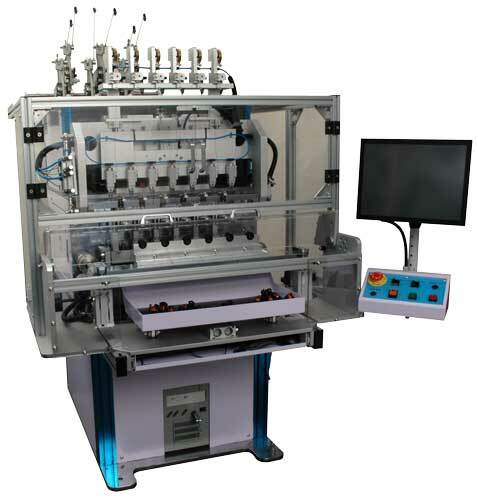 8 spindle high speed automatic coil winding machine with advanced PC control of multi axis servo systems, for winding small inductive devices with fine wire. Applications include the manufacture of ignition coils, motors, relays, solenoids and many forms of sensor coils in medium and large batch quantities. 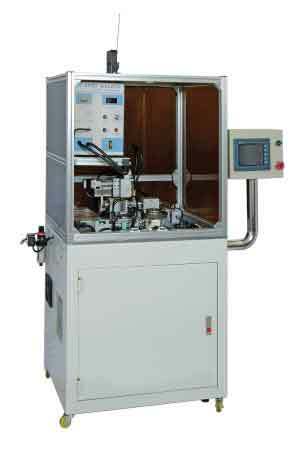 12 spindle high speed automatic coil winding machine with advanced PC control of multi axis servo systems, for winding small inductive devices with fine wire. Applications include the manufacture of ignition coils, motors, relays, solenoids and many forms of sensor coils in medium and large batch quantities. 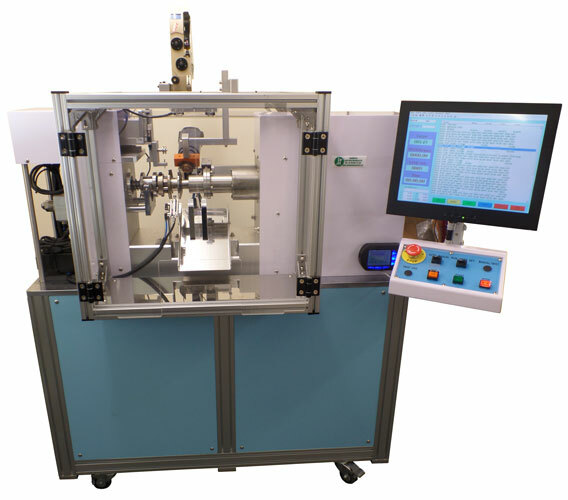 Range of accessories available for the automatic coil winding machine series, including air nippers for cutting larger wires, load/unload shuttle systems, skeining (wire twisting) units, tensioner stands, and wire spool trolleys. 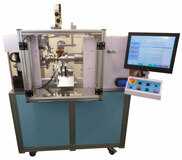 A special machine for winding flat wire, or profile wire. 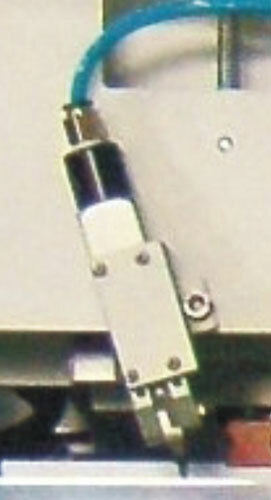 This machine is optimised for manufacturing "edge wound" coils for high power inductors as used in dc - dc convertors etc. 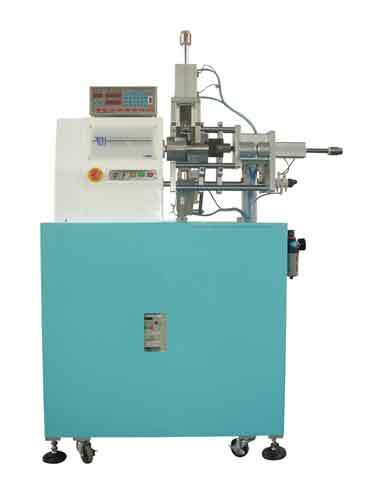 Fly winding machine for special applications - with this technique the core or former to be wound is stationary and the wire guide revolves around the product. 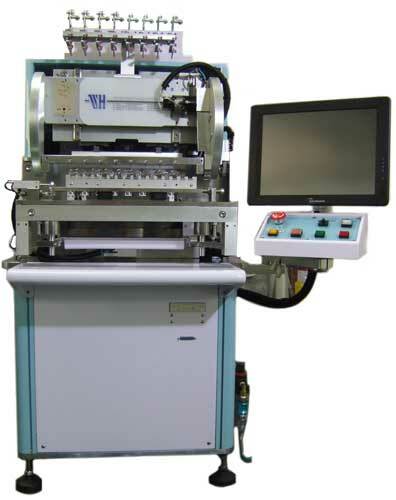 Automatic chip inductor winding machine, equipped with a bowl feeder for ferrite chips, wire cutting on tooling clamp, guide over start pad on ferrite, welding, winding, guide over end pad, weld, cut end wire, remove ferrite and unload. Examples of coils wound on our fully automatic machines, and recommendations for the best winding machine choice for manufacturing them.